Cornell's FinTech Hackathon kicks off on October 9th with networking. Cornell Tech is our meeting spot for a weekend of coding, camaraderie, and creativity. This interdisciplinary & experiential event is open-ended and meant to bring together engineers, business students, designers, entrepreneurs, etc. With a focus on fintech, it's your turn to produce viable solutions in one of our verticals. 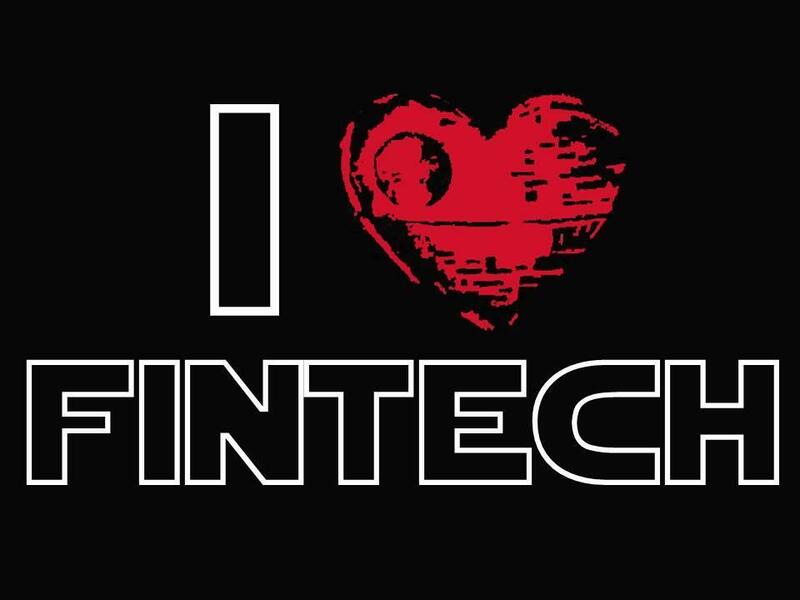 Immediately preceding hackathon is our FINTECH CONFERENCE. All hackathon participants get free admission and are strongly encouraged to attend. By noon on Saturday every team MUST complete the synopsis document that is posted on their conference room door. Synopsis form fields include: Team name, Members, Name of Product/Service, Overview of problem your team is working on, areas in which you seek advice/assistance from mentors. PiNGs are also listed on synopsis & schedule. At 2pm, 6pm, 10pm, etc, 1 member of you team must meet in the common area to report your teams Progress, Needs, and Goals. Final submission consists of: Emailing your Demo to ams345@cornell.edu. Title/Name of project; a short description of project (<25 words); name of team & team members; data source; code (linked through Github); screen-cast or screenshots describing the project. All projects must be submitted by the conclusion of the event. Presentations will be judged on Sunday by a panel, to an audience of hackahton participants and guests from the community and sponsoring organizations. Teams will present using their own computers. Time allotted for each presentation is 4 minutes (strictly enforced), plus up to 4min of Q&A (from the judges only). *Winners will have the opportunity to pitch the CoVenture investment team. Terms of any investment to be based on mutual agreement. **Wilson Sonsini Goodrich & Rosati will provide grand prize winner of the Fintech Hackathon with a "Start-Up Package that includes initial incorporation services (for a standard Delware incorporation) and covers a variety of legal services valued at $5,000. Projects will be evaluated in each of the following the categories below, and may win in one of the verticals: Underbanked/UnBanked, Marketplace, or Next 10M Fintech Users. There is one Grand prize, and three subsequent prizes will be selected for each vertical. It is highly recommended, to consider all 3 while deciding the scope of your project. C2C Bus Transportation Tue October 13 for return to Ithaca Campus. Blockfolio democratizes alternative investing. Retail investors are effectively locked out of alternative assets, access to such assets would enable investors to diversify their portfolios. Blockfolio is a marketplace for everyday investors to diversify their portfolios, provides significant new sources of capital to underserved markets, and utilizes blockchain to improve transparency with smart contracts. Modern provides an objective credit scoring tool based on sound and rigorous data analytics and modeling, by lowering transaction costs and providing an objective tool that aids in simplifying approval methodology. Clients (banks, MFI's, retailers, etc) use the savings acheived to expand the scale of their financial offerings, and by de-risking their customer base through our credit model, they can offer an expanded suite of products, including longer-term loans and variable interest rates on lower-risk customers. Sunscore provides an objective credit scoring tool based on sound and rigorous data analytics and modeling, by lowering transaction costs and providing an objective tool that aids in simplifying approval methodology. Clients (banks, MFI's, retailers, etc) use the saving acheived to expand the scale of their financial offerings, and by de-risking their customer base through our credit model, they can offer an expanded suite of products, including longer-term loans and variable interest rates on lower-risk customers. FoodPlus is the overstock.com of food. Food waste in American is a multi-billion dollar loss business. Get paid for food you were going throw out anyway on our dynamic food surplus marketplace. Sell it at reduced price so those in need can buy it at a reduced price. Cashless removes the risk of using and carrying cash by using a smartphone for mobile payments made easy and secure by utilizing a QR code for ACH payment at the retailer. Freedom to invent your future. Fixed loan debts represent a large portion of a new hire’s financial costs for the first few years and gradually decreases as a person’s income increases to accommodate it. Σnvent seeks to partner with employers to minimize initial loan debts to foster emotional health and to take advantage of employee salary growth to minimize loan debts at the early stages of the employee career. Companies will benefit from providing this type of support in student debt to their recent-graduate employees. We are a peer to peer, mobile based online market place for loans less than 1,000. Borrowers can get a quote on their interest rate and submit their loan to the marketplace. Lenders can pick and choose accounts to invest in. We have written an algorithm for each one of these things. We can do this quickly and efficiently. Our concept is meant to take the market share from Payday loan companies, who service the same sector, albeit inefficiently. Financial service and education. Consumers are tasked with understanding an increasingly complex financial ecosystem, they lack time, resources, and education about personal finance. Bamboo targets recently graduated young professionals in the USA up to age 34 with personalised recommendations. Delfi assesses the risk of loaning to rural farmers. Currently there is a lack of reasonable loans available to farmers due to their high financial risk and lack of data on them. Dignitas bridges the gap between insurance and cybersecurity. It is an advisory platform providing computational, customized solutions for cyber security liability insurance among startups and midsized companies in the technology space. America has a saving problem, Uncle Penny is a mobile app that educates and stimulates teens to save. It makes saving a reqrding and a social interaction. The US foreign born poulation of 42.1M seek a bank with transparency, translation, and trust. Kevins is the Yelp for banking. Investement makes student loans an investment product. Invest in university students (via paying their tuition) for a cut of their post-graduation earnings. Make Change is a crowsourcing mobile platform that allows individuals to support both private, community, and charity projects they are passionate about through daily purchase rounding up. After a user chooses to support a particular project, every purchase they make with their credit card will be rounded up to the nearest quarter/half/dollar (up to the user's choice) and the extra rounded-up money goes to the project he/she supports. An online platform that optimizes user spending by organizing data from service-based digital businesses.